This product is no serial number, check to see if entered correctly. This system is only limited to products sold from America and Canada, please check if your product is within these service areas. 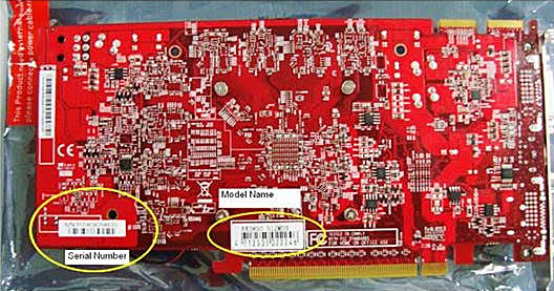 You can find the product serial number from the back of the video card or on the retail box. Please don’t hesitate to contact us if you have any questions regarding this service. Repair time will be 3-7 working days from the date we received the product. If repair was handled by third party, working days will be at least 14 working days. During repair, if our technician determine that the video card is unable to be repaired, PowerColor has the right to deny the repair. If the card is brand new, we will suggest customers to go through original purchase site first for their own new product warranty policy before reaching out to us. During the warranty time, PowerColor reserve the right to use the replacement parts. Copyright © TUL Corporation. All Rights Reserved.